Get ready for a simple, low-fuss way to offer something delicious and real. 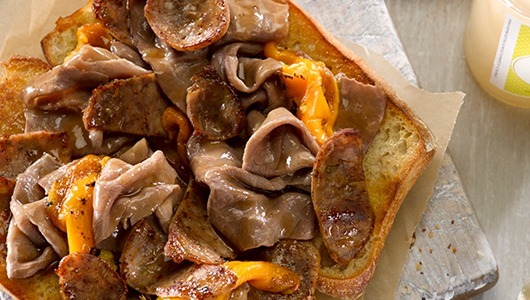 Italian beef, oven-roasted for a caramelized exterior and tender, juicy interior. And pot roast, starting with fresh, seasoned beef chuck and cooked low and slow for hours. Putting classic comfort food at your fingertips. Hand-trimmed, flat outside rounds are oven-roasted, then sliced paper-thin. Available with or without our house-made au jus gravy, made from the drippings of our roasted beef. Tender enough to pull apart and packed with rich flavor. 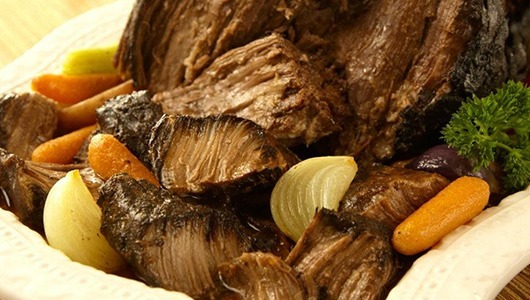 We start with fresh beef chuck, seasoned with a special blend of spices, then cooked low and slow for hours. We’ve received your inquiry. A Hormel Foodservice representative will be in touch with you shortly.